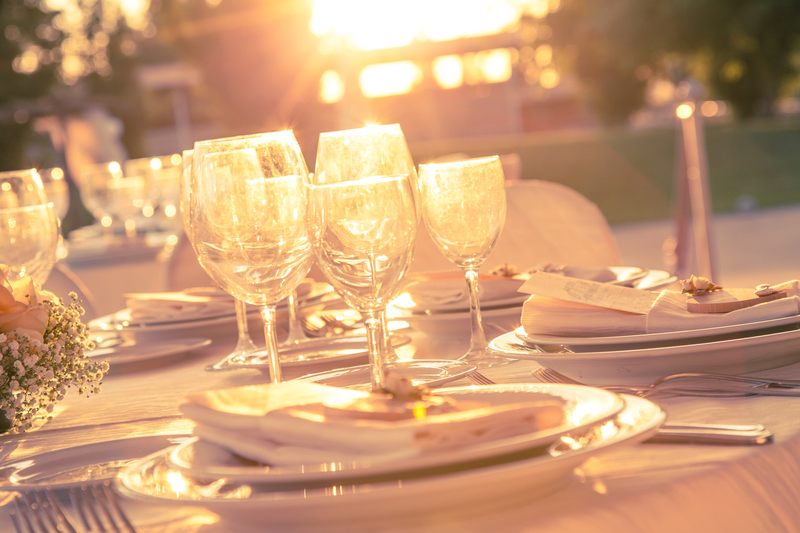 Styling an event of any kind goes beyond purchasing a couple of plates, cups, a cake and decorations. There is a lot more work that is entailed to ensure your event is a success. It all begins with a guest list and a theme of any. It could be a Disney Movie theme to simply selecting a few color swatches. The theme can be discussed with your event stylist, you can design a theme together. It’s all up to the creator of the event and the type of budget you want to set for yourself. It is important to set a budget for your event to stay organized and stay within your own set limit. In the world of styling events, anything is possible with the right attitude and budget. When coordinating and styling a wedding, I like to suggest that my brides begin with selecting a bridal gown. The bridal gown can set the foundation of the theme you want for your Dream Wedding. The Wedding Gown is also what is going to cost the most out of the wedding production. For a wedding dress you can expect to spend anywhere from $2,500 to $25,000. This will all depend on the budget and the dress you fall in love with. Sometimes when you try on a dress the dress picks you. The above design is by Liz Martinez Bridal. Our Event Stylist have all been professionally trained and certified by the ABC Bridal association. We go to great lengths to make sure every single detail ties in perfectly to ensure your event is a success. Our list of vendors have been established from our first days as event stylist and coordinators, dating back to 2008. Today’s cake table are the biggest focal points of most of our events. We’ve been most recognized for our beautiful dessert tables and rental props. Here are just a few examples of the different styles of cake and dessert tables we are able to create for your next event. Engagement and Event photography is extra special and important to us. We work really hard in pairing up our clients with the perfect photographer for your special occasion. Photos are really important in helping us relive those beautiful moments spent with your loved ones. You dream it we design it and help bring your vision to life. We cast the perfect team to make sure everything goes smooth on the day of your event. Enjoy a great selection of trendy Hollywood Restaurants to choose from where you might want to host your next event. If you would like more information on our event styling and coordinating services, please take a moment to fill out our intake form below.